Health benefits of oranges are the key essential elements for maintaining good health and longevity. This well known fruit around the globe is know for its High Level of vitamin C content. As an integral part of the Citrus family, it is said to provide protection against esophageal, orophayngeal/Laryngeal (The Mouth, the larynx, and the pharynx). It also provides protection against stomach and cancers. It also contain healing properties related to a broad variety of phytonutrients compounds. Most people eat and enjoy the fruit as a an integral part of their daily diet based on the basic information that it provides which is Vitamin C for the body to boost the system against cold and other basic symptoms. Dietitian Liz Erker, a Registered Dietitian has provided a broad wealth of information on the "Health Benefits of this fruit" in here presentation video below. She speaks extensively on the subject, and without a doubt this information will be of value to enhance our healthy eating and promote a healthier lifestyle. Thanks to Liz for providing this important information on its health benefits. They are known for their high content value of vitamin C and as a result are called one of the vitamin C brothers. We often just randomly peel or juice the it without even thinking whether or not we are doing the right thing. It is an old adage but it's true that "you have to first know where you are going before you can ever get there." In essence, it customary to follow the way we learn how to do it. However, not having the right information of knowing how to peel or juice this delicious fruit will eliminate almost 2/3 of the nutrients and the rest is thrown in the garbage. 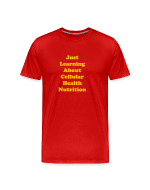 Basically, you will be losing money and the nutrients because of lack of knowledge. So it's of paramount importance to know how to do it the right way to benefit from it. Let me reiterate, having the right information is vital to achieve the maximum benefits of fruits and vegetables that will enhance your health and this tropical fruit certainly fall in that category. Jay Kordich who is know as the "father of Juicing meticulously demonstrates in the video below, how to juice an orange to extract and obtain the ultimate value and nutrients from it. This fruit certainly provides the ultimate nutrients and health benefits. He also shows the difference between sugary and water juice by explaining how to retain the pulp that contains a significant portion of the nutritional value. He has also provides the resources which is the equipment of the world renown power grind juicer. Thanks to Jay Kordich for providing such vital information.